SAN FRANCISCO (KRON) - Surprised? 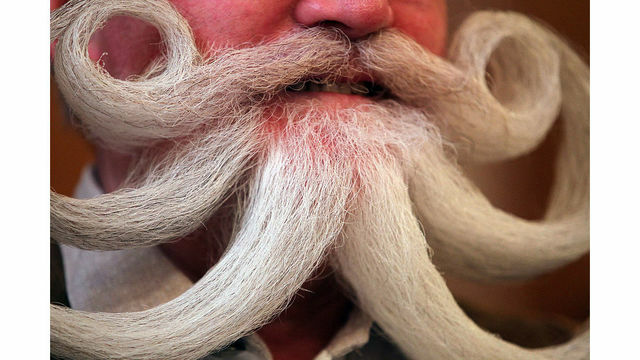 A new study out of Switzerland claims that men carry more germs in their beards than dogs carry in their fur. Professor Andreas Gutzeit of the Hirslanden Clinic said that researchers "found a significantly higher bacteria load in specimens taken from the men's beards compared with the dogs' fur." Researchers took two swabs of human male hair from 18 men and the necks of 30 dogs of varying breeds. The study showed that all of the bearded men ages 18 to 76 had "high microbial counts, while only 23 of the 30 dogs showed similarly high microbial presence." Seven men were even found with microbes that "posed a threat to human health." “On the basis of these findings, dogs can be considered as clean compared with bearded men,” Gutzeit said.